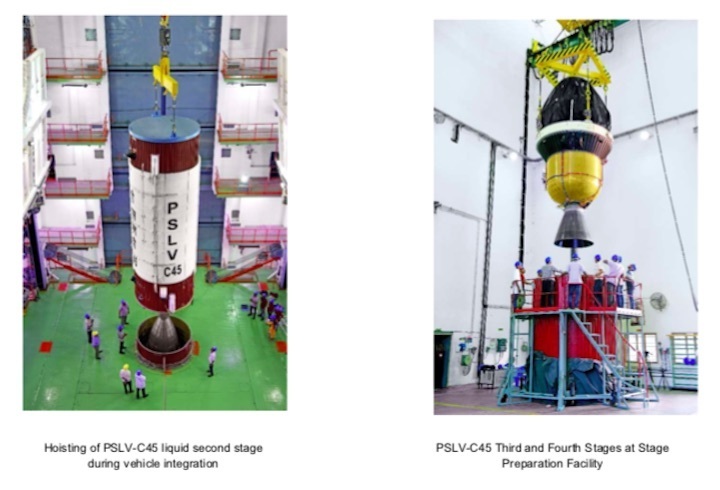 India’s Polar Satellite Launch Vehicle (PSLV), in its 47th mission (PSLV-C45), will launch EMISAT, the primary satellite and 28 international customer satellites from Satish Dhawan Space Centre (SDSC) SHAR, Sriharikota. 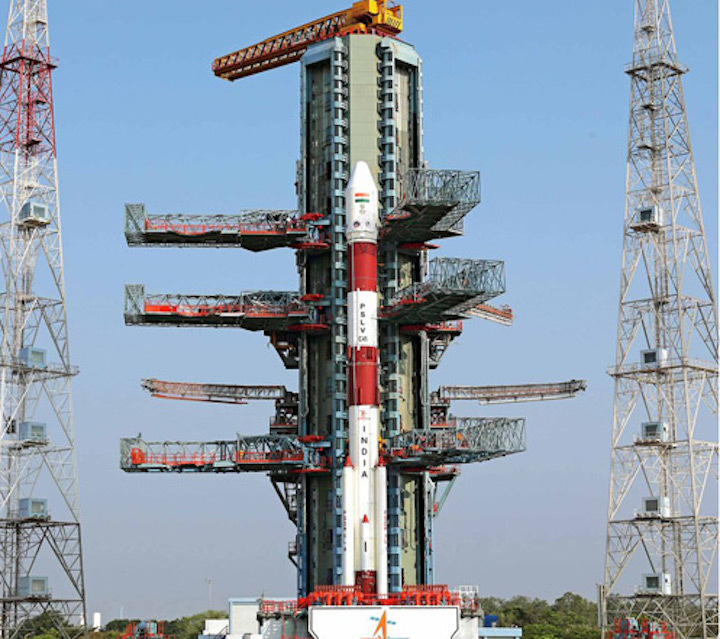 The launch is tentatively scheduled at 0930 Hrs on April 01, 2019, subject to weather conditions. 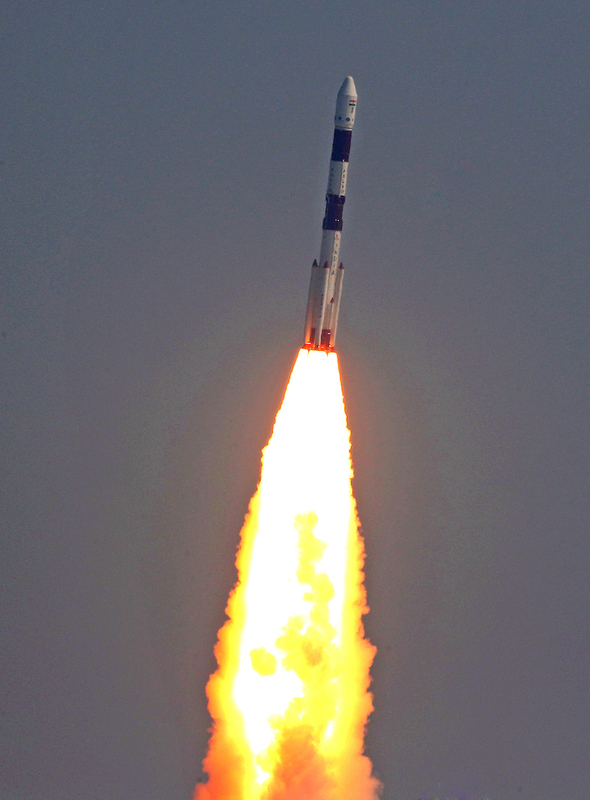 A 27-hour countdown began on Sunday for the launch of India's EMISAT satellite along with 28 nano satellites of global customers from Sriharikota on Monday, a mission which would witness the ISRO placing payloads in three orbits and conducting space experiments for the first time. 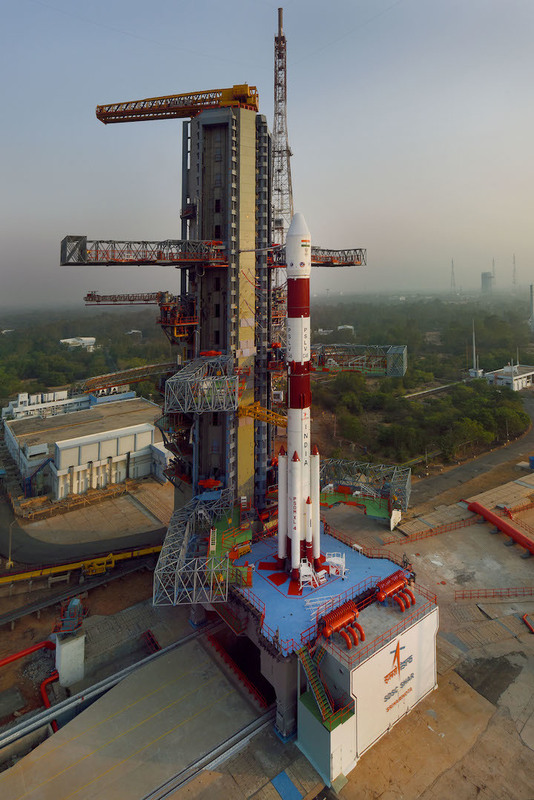 The countdown began at 6.27 am for the launch on board Indian Space Research Organisation's third generation workhorse Polar Satellite Launch Vehicle (PSLV), in its 47th flight, ISRO said. 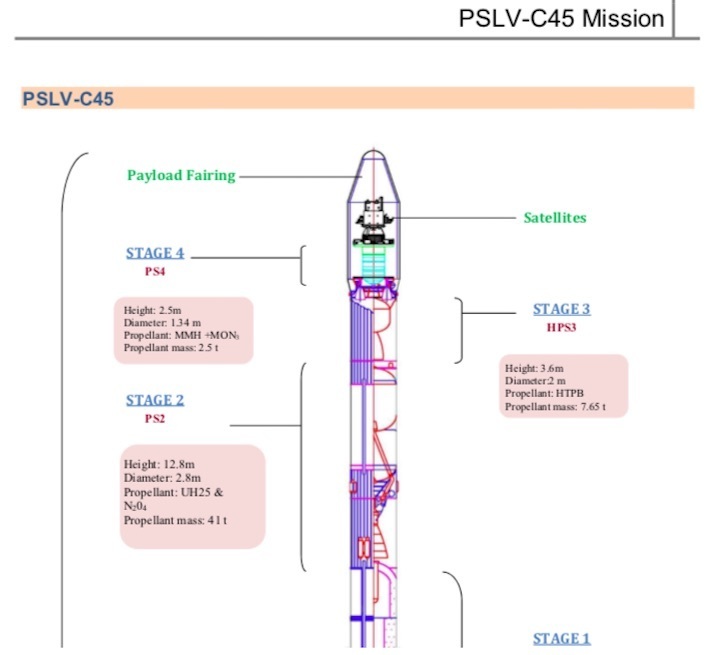 The four-stage PSLV-C45 will blast off from the second launch pad at the spaceport of Sriharikota, about 125 kms from Chennai, at 9.27 am Monday, agency officials said. 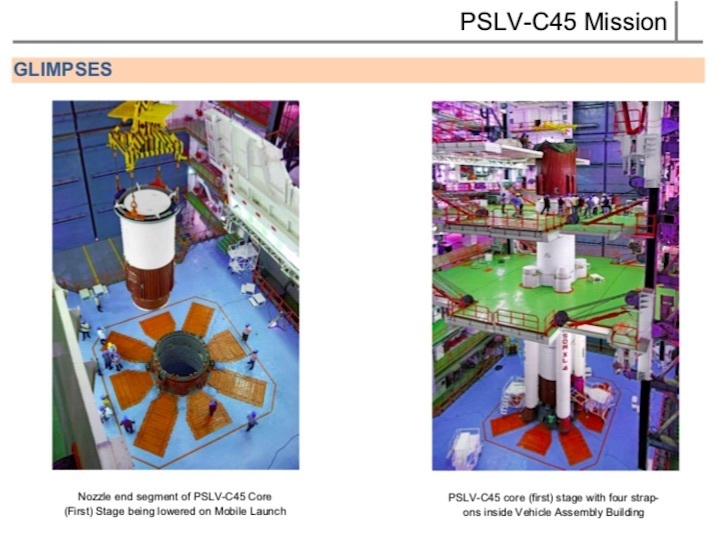 PSLV, also used in India's two key missions―“Chandrayan” in 2008 and Mars Orbiter in 2013, is a reliable and versatile launch vehicle for ISRO with 39 consecutive successful flights till June, 2017 and five-in-a row from January 2018. The rocket has encountered only two failures so far―its maiden developmental flight ended unsuccessful way back in 1993. 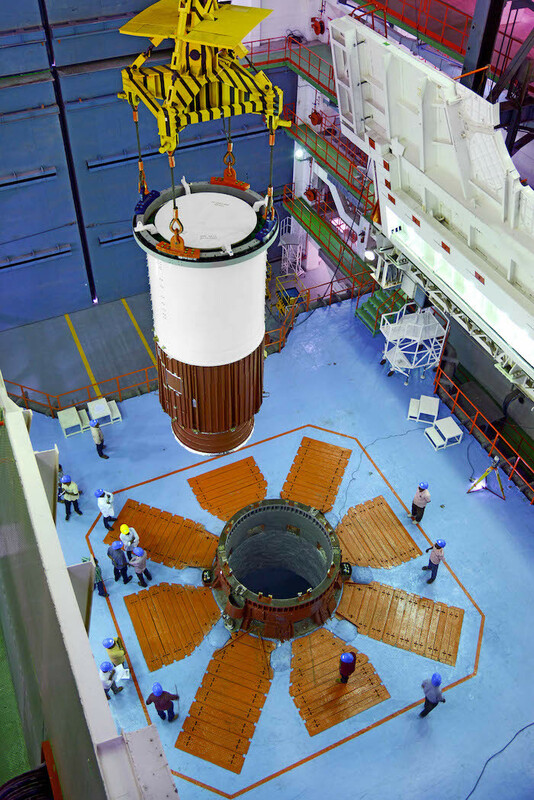 In September, 2017 the flight went off without any hitch but the IRNSS-1H Satellite could not be released into orbit after the PSLV-C39's heat shield failed to open on reaching the orbit. 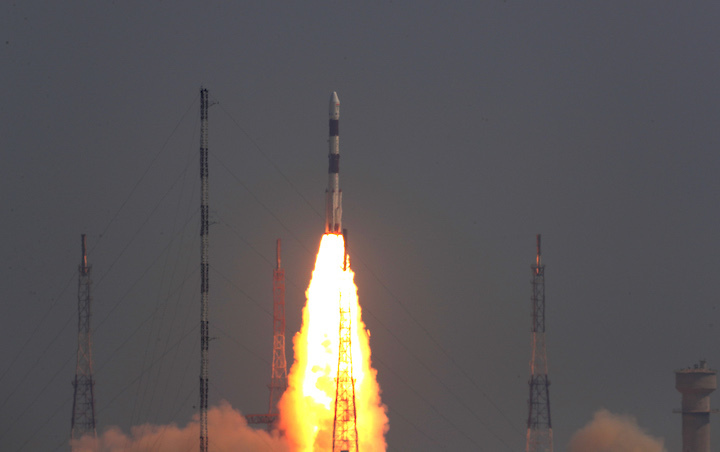 During this initiative, all the other 28 customer satellites, totally weighing about 220 kgs, would be released by lowering the fourth state to around 504 kms orbit. 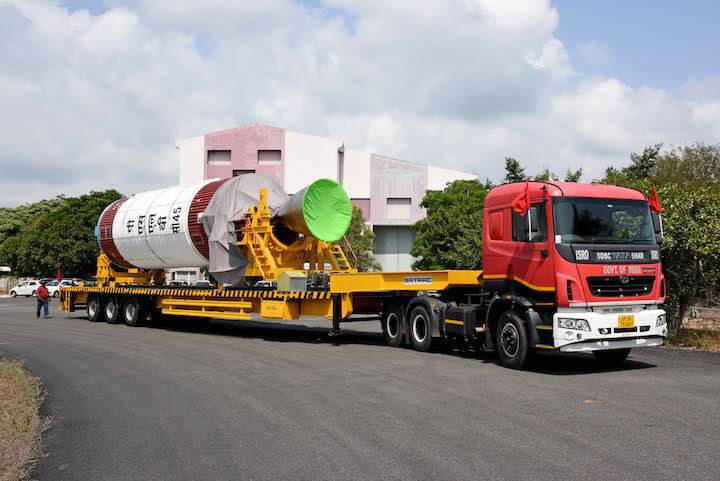 Again, the fourth stage would be reignited and further lowered to 485 kms orbit to serve as an orbital platform for carrying out space borne experiments for the first time in ISRO's history. The other 28 international satellites―25 3U type, two 6U type and one 2U type nano satellites―are from Lithuania (two), Spain (1), Switzerland (1) and the United States (24).